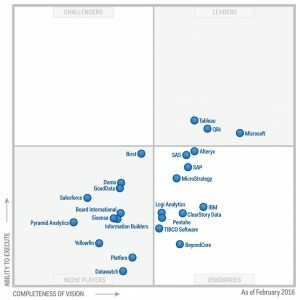 The new 2018 Gartner’s Magic Quadrant report is out for BI and Analytics. It is a very dramatic landslide type of changes for the current industry players in the last few years. 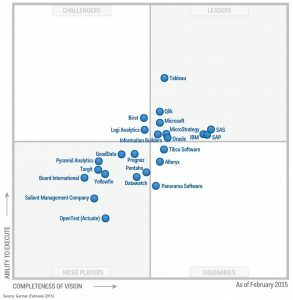 The fast moving / agile type analytics that are required for ever changing analytic requirements is now in mainstream. Data analytics are now available in almost all the platforms, including social media sites like YouTube, Facebook, LinkedIn, … etc. These are all evidence that data analytics are no longer a nice add-on or luxury feature, but is perceived to be core and essential. The needs range from individuals who are hobbyist / entrepreneur to corporation trying to harvest and learn from all the activities and behaviors in their business. Intuitive modern user interface, self service capability, simple data integration, fast performance, and low cost are key features that will make a product successful in today’s market. In addition to the vendor’s readiness to lead the market and adjust to new requirement very quickly. 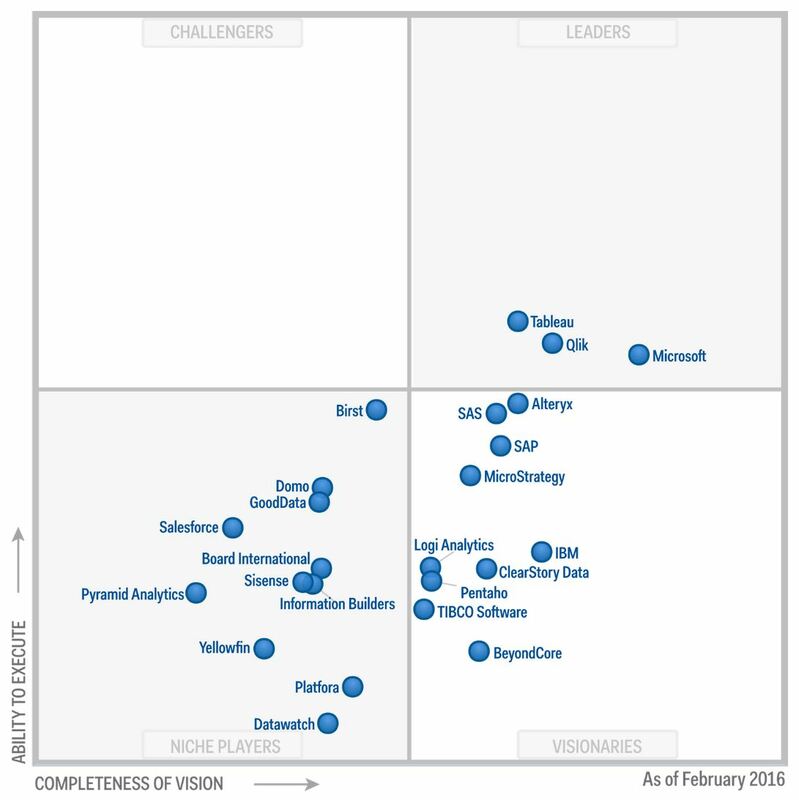 Traditional BI vendors that were slow to adjust, including a few industry giants like IBM and SAP just to mention a few, that were once dominated the market are not longer in the front runner, and are struggling to keep up with the market transition. 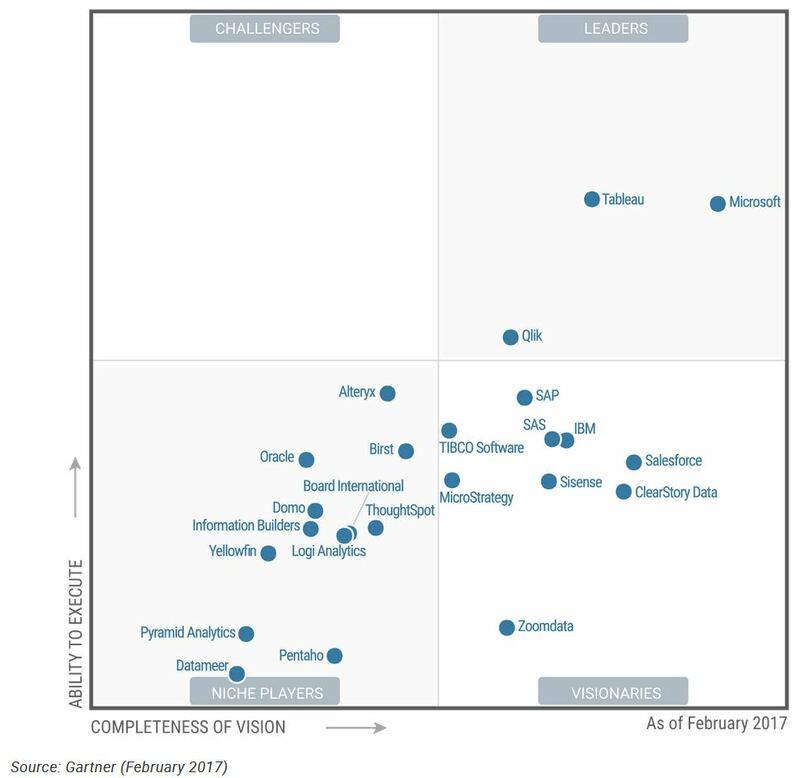 I think it is best to highlight it with a year to year comparisons of the quadrant. 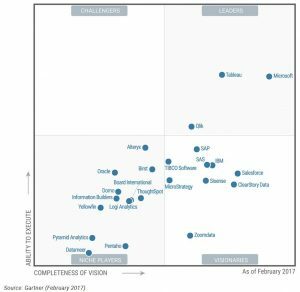 They show 3 vendors who are leading the pack for the past 4 years: Qlik, Tableau, and Microsoft, have now left the rest of the cloud behind and having a race of their own. 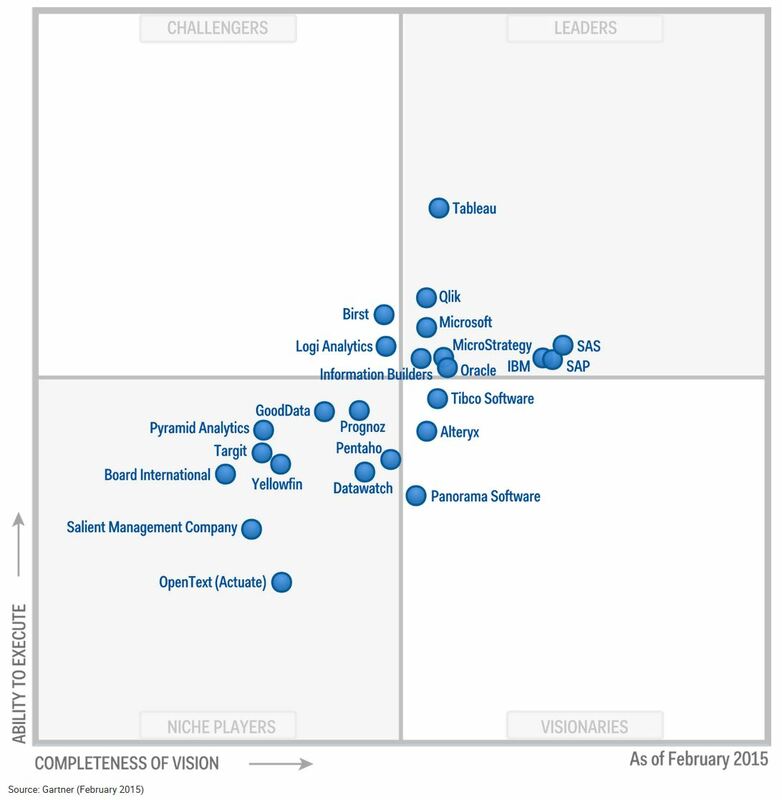 It is refreshing to see Microsoft has the best improvement this year, while Qlik seems to be starting to fall behind. Data Analytics and Business Intelligence are the enabler to understand our businesses, no matter if it is a YouTube channel, or a bank financial institution. It is an exciting industry to watch and to participate in. 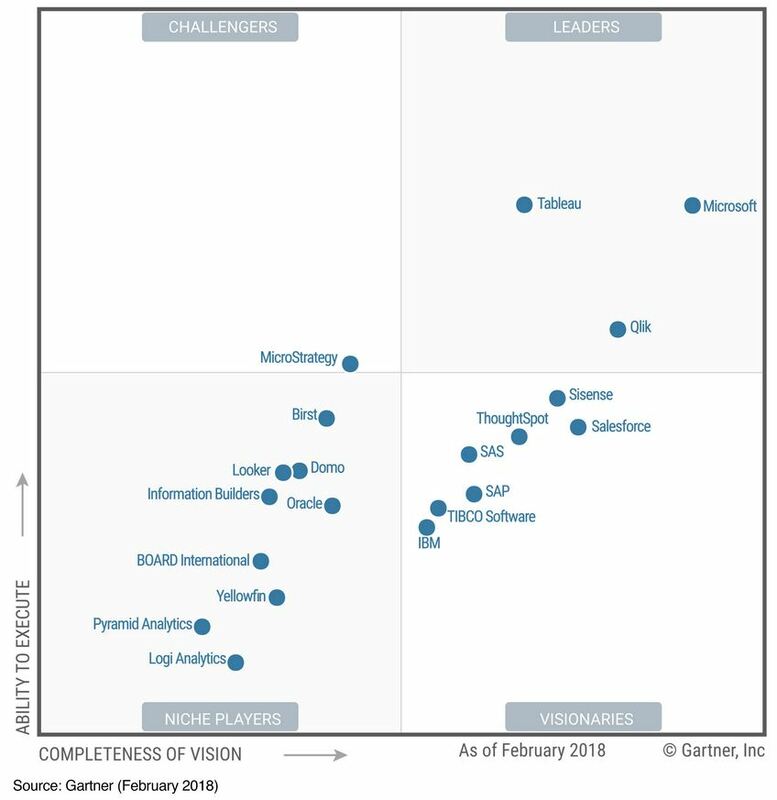 If you are interesting to read the full report, here is a link to the 2018 Gartner’s Magic Quadrant for Business Intelligence and Analytics Platforms.